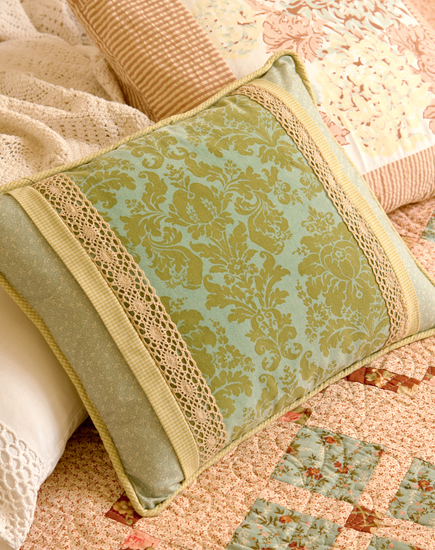 Don't you just love fabrics that are old-fashioned and modern at the same time? The velvet used in this pillow is just that--a classic design in fresh vintage colors. 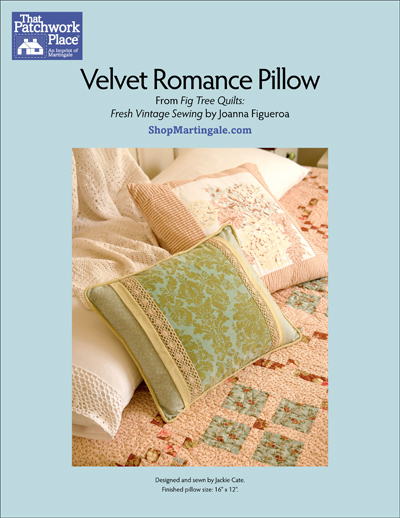 The elegance of the velvet and lace combines beautifully with the simplicity of the gingham. Finished size: 16" x 12"